A robust and naturally sweet finely sorted black tea from one of India’s oldest Himalayan tea gardens from veteran grower Desmond Birbeck. 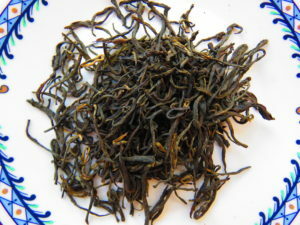 This finely sorted Himalayan tea comes from a revitalized tea region along India’s western Nepali border. The abundance of golden tips carry a glowing caramel sweetness under thick cocoa flavours. This remote area is creating new distinguished flavour profiles across India’s traditional black tea landscape.